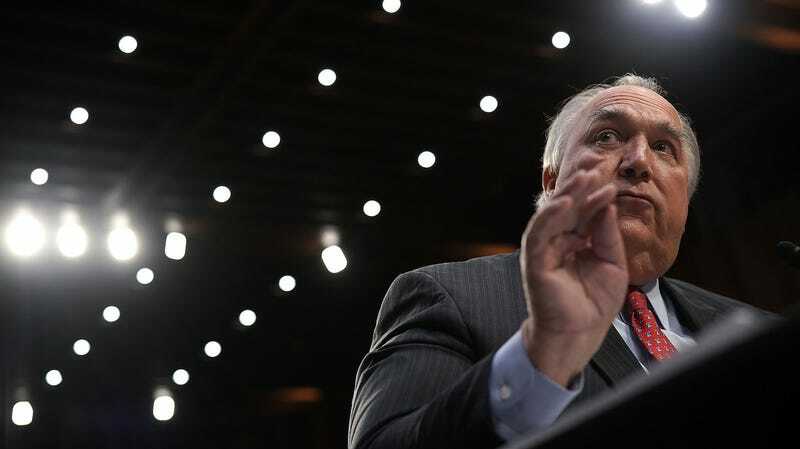 Former Michigan governor John Engler has resigned as Michigan State University’s president after outrage over his comments suggesting that women sexually abused by former MSU and Olympic team doctor Larry Nassar are “still enjoying” being in the spotlight. Nassar, who has been accused of abusing hundreds of girls during his career as a sports doctor, has been sentenced to up to 175 years in prison. Somewhat ironically, Engler became interim president last year, after the ouster of former MSU President Lou Anna Simon, who has since been charged with lying to investigators over the Nassar scandal. In May, the school settled with the victims for $500 million. Upon its publication, Engler apologized, saying, “That was a big mistake. I was wrong.” Mosallam called for a vote to fire Engler at the time, but the Board rejected the motion. The Detroit Free Press reports that on Wednesday, Engler announced that he would resign next week, hours before the university’s Board of Trustees held a meeting to fire him on Thursday. The board accepted his resignation effectively immediately, however, and has named Satish Udpa, MSU’s executive vice president for administrative services, interim president.